Learning games are the key to unlocking maximum engagement from your training content. Instead of subjecting your learners to passive eLearning, learning games demand interaction at every point. If you’re not getting the kind of results you expect from your training, maybe your content is just a little too boring (sorry, somebody had to tell you). 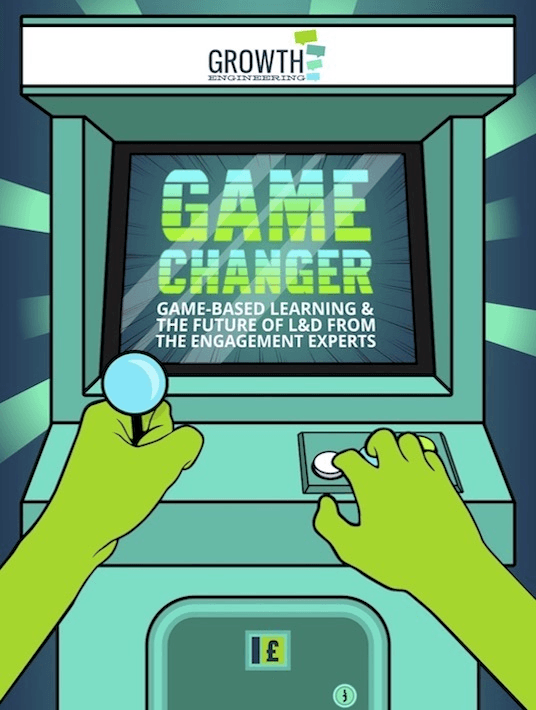 Game-based online learning is taking the training world by storm and changing the way L&D professionals think about instruction. Learning games have been popular in schools for decades, but the potential of game-based learning is gradually being realised by the wider learning and development sphere. The world is changing all of the time. Technology is advancing, society is evolving and a whole new breed of employee is taking over the workforce. Since game-based learning is a relatively new approach to instruction, research into the efficacy of learning games isn’t very widespread. If you’re embarking on your first game-based learning odyssey, you might be wondering where to start. In most game-based systems, users earn badges for completing tasks and these are usually housed in a prominent badge cabinet or an achievements area. Now that you know the effects that games have on the brain, you need to think about how to get the most out of them. If you’re excited about the idea about adapting a game-based approach in your training programme, it’s tempting to jump straight in and start planning your next big hit. By now, you must be pretty excited about building a game-based training solution. You might think that learning games are out of your reach, but there are several options available. So, let’s say you’ve followed all of the advice in this white paper so far and you’ve created a learning game – how will you be able to tell if it’s any good? Technology is shooting ahead faster than we can keep up with it and the world of learning games is no exception. Join us on our journey through the wonderful world of learning games and game-based learning. We hope it will inspire you to think of your training programmes in a new light. As you can see, there’s a whole world of game mechanics waiting to be explored and each new discovery just opens up more opportunities. At Growth Engineering, we’ve been pioneering gamification in online learning since 2004. Our Academy LMS is the undisputed champion among gamified learning platforms and our game-based authoring tool, Genie, makes creating learning games easy. Download this free eBook and let us help you turn your game-based learning dream into a reality! In most cases, nowadays, you can’t blame the learner when a training is not providing the expected results. You don’t need a whole eBook to tell you that modern learners are of a certain good level, and have proven their ability to educate themselves. What you need, is what Growth Engineering is offering right here; a load of information on why game-based learning is important, how, when and where to implement it, to get the results you’re aiming for. Read it, and your perception of training will be forever changed.